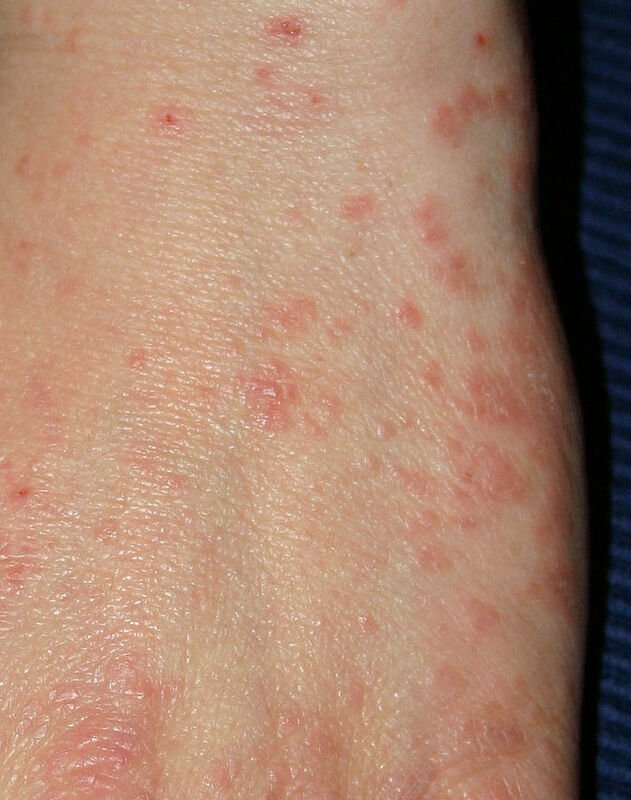 Dx – burrows, scales, papules. @ groin, wrists, hands, armpits, abdomen, to name a few places. Takes about 15-20 min of close contact to transfer the mite to someone else. Does not jump or fly. Rx – Permethrin 5% Cream. Apply neck down. Leave on for 8-14 hrs, then wash off. Repeat in 2 weeks if needed. If resistant, Rx oral ivermectin x1. If crusted scabies (bad), Rx permethrin 5% cream daily x 7 days + ivermectin on days 1, 2, 8, 9, 15. Warn patients that skin will continue to itch even after treatment, due to dead scabies remaining in skin. Rx PRN itching with benadryl or hydroxyzine.